About | Avant Insurance Brokers Ltd. In the commercial insurance brokerage and risk consulting industry, it is the reputation and experience of both the company and the individuals representing your account that make the difference in providing reliable advice and superior insurance programs to clients. Founded in 2016, we are a Manitoba family owned commercial and VIP home insurance specialist. Our account executives have over 50 years of experience assisting clients of various sizes and industries to protect their businesses. Concerned about the growing consolidation happening in the insurance industry, Cole Leitch and his father founded Avant Insurance in March 2016, recognizing a significant demand for a "100% independently owned Manitoba broker who specialized in commercial P&C insurance and surety." Since they ventured out on their own, their business has grown by more than 25% within the first year, with 100% client retention and three additional staff members added to their team. President and CEO Cole Leitch, a recent winner of the Insurance Young Guns Award (2017 and 2018) suggested the ultimate goal for the brokerage is to be "nimble enough to make changes as the market changes without too much bureaucracy." He finds it important to mentor and educate other brokers and help them thrive in the industry, which he considers one of his favorite parts of his job. 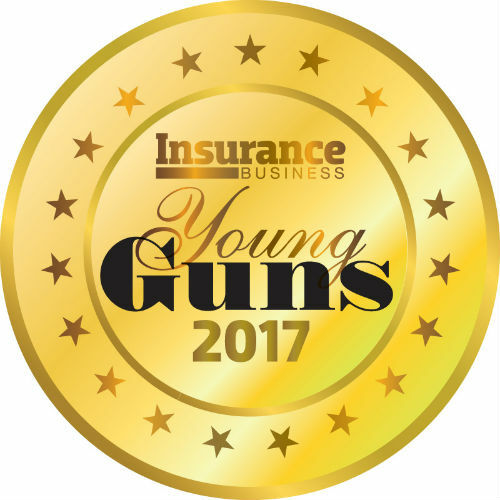 Cole's recognition for success also includes a national nomination for Young Gun of the Year in 2017 Insurance Business Awards and has been named to the Elite Brokers twice, in 2014 and 2016. Avant Insurance was nominated at the 2017 Insurance Business Awards for Customer Service by a Brokerage. He is currently looking to expand his team and recruit more talent to help serve Avant's clients and grow the brand. At Avant Insurance we have an unyielding commitment to providing our clients with the best in Risk Management and Insurance Brokerage Services. Our role is to represent and advise our clients. While we are our clients' conduit to the insurance industry, when placing an insurance program, we work for our clients - we do not work for the insurers. Unlike the majority of our competitors, Avant Insurance Brokers Ltd. is independently owned, with no ownership or commitment to any insurer, bank, or international entity; a very rare occurrence in the current insurance marketplace. Avant Insurance is carefully assembling a knowledgeable team of highly qualified and skilled professionals, who will fuel rapid growth and development of the company. Avant's ownership consists of Cole Leitch, a commercial insurance specialist with over 16 years experience, and Nick Leitch a commercial insurance expert with over 40 years experience. Our service staff have a minimum of 10 years experience in insurance with a focus on commercial service. Avant Insurance is committed to being on time and on budget, without mistakes. Account Executives at Avant Insurance will not be forced to manage client loads that put inappropriate pressure on their ability to deliver superior service to our clients. As a result, clients get the attention they deserve. Success in the placement of an insurance program depends on being able to access a full range of insurers and insurance products, nationally and internationally. Avant Insurance has cultivated relationships with virtually all the major insurance companies available in Canada, guaranteeing the best access to markets available. The result is a more competitive marketplace and generally reduced insurance costs. As we are not owned by any insurers or outside interests, our firm can make quick strategic and tactical decisions without bureaucratic delay and, most importantly, on the basis of our customers' best interest. We know who our client is. Our decision-making authority resides in the hands of Cole & Nick Leitch. Your team leader assumes full responsibility for client satisfaction and will ensure you receive the services and resources to meet our commitments regarding your program. Avant Insurance's origins go back to 1994 when the Leitch family first owned a commercial insurance brokerage. Since that time we have cultivated relationships with the top insurers and the key people at those insurers to ensure our clients receive the best possible service. Our experience and reputation as top notch commercial insurance brokers has allowed us to recruit some of the top minds in the insurance industry to start work at Avant in the near future. Contact us to schedule an appointment about how we can provide personalized risk management services to your business or family. In 2017 Avant Insurance acquired John Fehr Insurance, a company that has more than 100 years of combined insurance experience. This acquisition allows us to provide our clients with an even deeper portfolio of best in class insurance solutions. Copyright © 2019 Avant Insurance Brokers Ltd.. All Rights Reserved.